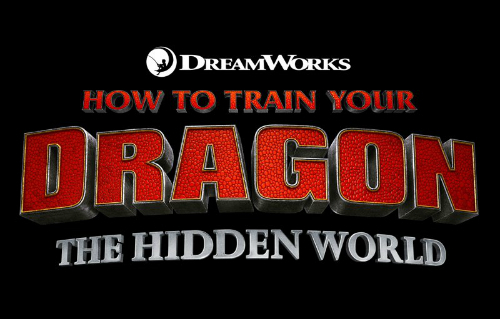 Our first official look at How to Train Your Dragon: The Hidden World is finally here. Four years have passed since the release of How to Train Your Dragon 2. Though DreamWorks Animation has always intended on making another sequel to their successful franchise, it has been a long time since we’ve gotten any official update on the project – aside from a change in title last month. Fans of the series will be happy to hear that their patience has paid off, as DreamsWorks has finally revealed our first look at an official poster. 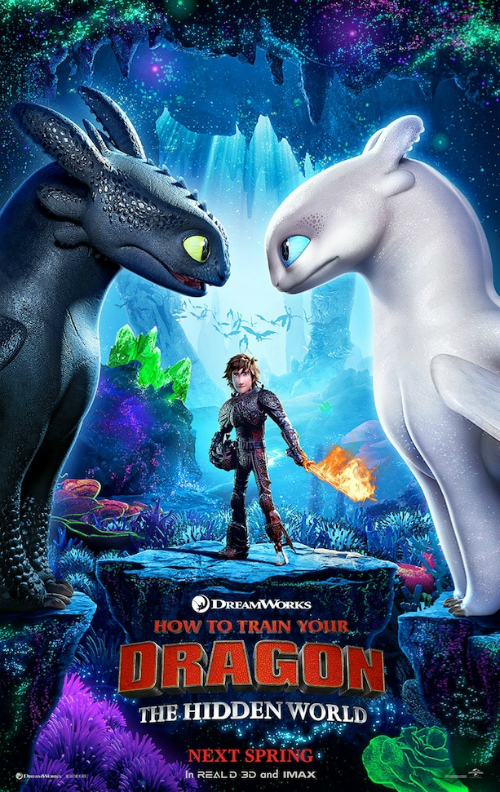 Filled with some beautiful colors, the new poster does seem to tease a “hidden world” that our heroes are unaware of, as well as a female counterpart to Toothless. Along with the announcing the new title, DreamWorks revealed some footage from the film at CinemaCon last month. Though that footage remains unreleased, it apparently did show off this new Night Fury and her flirtatious relationship to Toothless. If you are wondering about when you may get the chance to see some footage for yourself, then you won’t have to wonder much longer because the first official trailer for How to Train Your Dragon: The Hidden World is scheduled to release online exactly one week from today. That’s just in time to attach the trailer in front of Pixar’s Incredibles 2, which will undoubtedly draw in a large crowd. What does this “hidden world” mean for Hiccup and humankind? Will the introduction of a female Night Fury jeopardize the bond between Hiccup and Toothless? Hopefully we’ll have a better understanding once the trailer drops next week. As Hiccup fulfills his dream of creating a peaceful dragon utopia, Toothless’ discovery of an untamed, elusive mate draws the dragon away. When danger mounts at home and Hiccup’s reign as village chief is tested, both dragon and rider must make impossible decisions to save their kind. Series director Dean DeBlois returns for the third installment of the franchise, along with an impressive voice cast including Cate Blanchett, Jay Baruchel, T.J. Miller, Gerard Butler, Kristen Wiig, Jonah Hill, Kit Harington, Djimon Hounsou, America Ferrera, Christopher Mintz-Plasse, F. Murray Abraham, and AJ Kane. How to Train Your Dragon: The Hidden World is scheduled to release on March 1, 2019.